I am a huge believer in speaking out about postpartum depression and other maternal mental health disorders such as perinatal depression, postpartum anxiety, postpartum OCD and postpartum psychosis. It has become my mission to collect and share the stories of women who have battled mental health disorders along their journey through motherhood. Many of those women are talented mom bloggers who know how important it is to speak out, and I’ve shared their stories below as inspiration. But so many of them are not and have no idea where or how to begin speaking out about their pain. If you are interested in sharing your story about a postpartum mood disorder, I want to help. Please click here for more information. 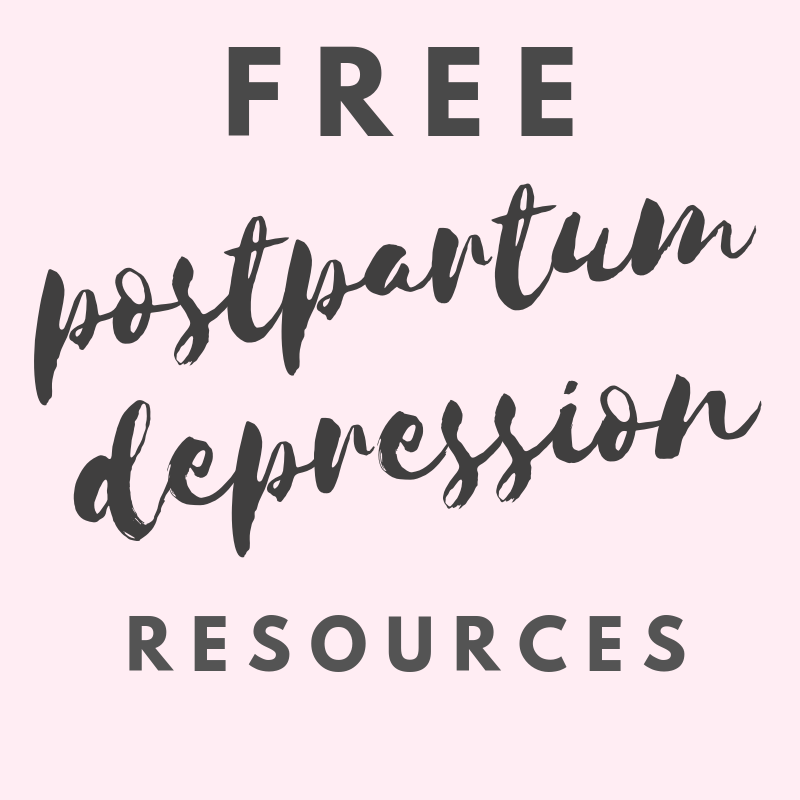 Here you will find a constantly updated list of posts from other brave bloggers who have decided not to keep silent about their battle with postpartum depression and other mood disorders. I hope these will inspire you to write your own story and know that you are not alone in this. * This post contains affiliate links which means that if you click on one of these links and buy a product, I may earn a small commission at no additional cost to you. Rest assured that I only recommend products that I love from companies that I trust. ** Furthermore, I am not a medical professional and nothing in this post should be taken as medical advice. I am simply a mother who has been there and lived to tell the tale. CLICK HERE to see all the postpartum depression stories submitted as guest posts on Running in Triangles. Rachel from This Postpartum Life shares a two part series on her blog about how she came to realize that she had postpartum depression (thanks to very little help from the medical system and those around her) and what her journey has been like. Valinda from Green and Happy Mom shares her postpartum depression story. She gives great detail about the symptoms she experienced and the care she received. Michelle from The Perfectly Imperfect Mummy has two sets of twins and suffered from postpartum depression both times. She utilized the support of a local Mother and Baby Unit to help her get through her first year of motherhood. Aprille from Beautiful In His Time shares a detailed tale of postpartum depression and how she managed to cope while her husband was deployed. Claire from This Mummy Rocks had a history of mental health issues but didn’t experience actual postpartum depression until after the birth of her fifth child. Deanna from Maple Leaf Mommy gives us an interesting look at what postpartum care was like in the 1950’s and how it has evolved. Sharing her grandmother’s experience also demonstrates the long-term effects that postpartum depression has on a woman’s brain. Stormy from Pregnant Mama Baby Life talks about what she knew of postpartum depression prior to getting it, both professionally as a nurse and also what she had heard about it from popular culture. Despite all of this, she was still blindsided when it happened to her. I Survived Postpartum Depression and Anxiety… and So Will You. Aby from One Happy Disaster struggled with mental health issues prior to becoming a mother but it didn’t make her diagnosis with postpartum depression any easier. Her story is all too familiar, from a labor and delivery that didn’t go anything like she planned, to trouble bonding and feeling detached. Amanda from Legally Mommy suffered from postpartum depression following a pregnancy that she didn’t feel ready for. She eventually started taking anti-depressants but it left her feeling guilty for having to stop breastfeeding. Brittney from The Honest Mom expresses something many of us have experienced… that she didn’t know she had it until it was almost too late. Read more about how she came to realize that she had postpartum depression and what her journey was like. This is a guest post that I wrote for Mummy It’s Ok about my struggle with prenatal depression while pregnant with my second child. Pregnancy is normally looked upon as a happy time for most women, but unfortunately, not for everyone. Read more postpartum depression stories from MummyitsOK.com here. Emma from Muddy Boots & Diamonds is running a series on her website called Surviving the Darkness that’s open to survivors of Perinatal (Postpartum) Mood & Anxiety Disorders. You can read some of the interviews and take part in the series to help spread PMAD awareness. This emotional video was submitted to me by Kate, who suffered from postpartum depression after the birth of her second child and came very close to taking her own life. Anjana from Mommy Republic talks about how she suffered from postpartum depression despite having a supporting husband and plenty of help during her first few months postpartum. Lauren from Lil’ Olive Tree shares a powerful story of how her faith helped her get through a dark time in her life. Bailey from Simply Mom Bailey expresses a concern many other mothers have during their battle with postpartum depression – whether or not to start taking antidepressants. Shawna from MishMash Mommy can relate to many other mothers out there who put off seeking help because they’re waiting for the baby blues to pass. Alaina from Mom Eh! shares her story of battling postpartum anxiety, which is different than postpartum depression and gets even less awareness. Jessica from Life of a Cherry Wife was like most women who assume postpartum depression will never happen to them. In this post, she offers words of support to women who feel completely overwhelmed by motherhood. Jen from Modest House, Extraordinary Home does a great job of explaining all the different ways postpartum depression affected her. Aubree from A Mother’s Field Guide wrote this awesome post packed with information about postpartum depression, followed by her own journey. She, like many women, battled with depression prior to getting pregnant. Taylah from The Tired Mumma Blog did not suffer from postpartum depression at all, but her postnatal (postpartum) anxiety caused an entirely different level of stress in her life. Kristin from This Wife and Mommy Life put together this compilation of postpartum depression stories from women of all walks of life. Erica Fraser from Mom Break shares her story in a video as well as a post and speaks about the pain that’s often hidden behind closed doors. This list will be constantly updated, so be sure to check back often for more inspiring stories!